Capacity building for community biodiversity monitoring in mangrove swamps of the Lagoon System of Alvarado (SLA), Veracruz, aims to provide communities with tools to learn about and document their natural capital, the current state of conservation and the impact of their actions. Community biodiversity monitoring is increasingly recognized in Mexico as a primary method to monitor the health of ecosystems and the services they offer (FMCN, et al., 2018). 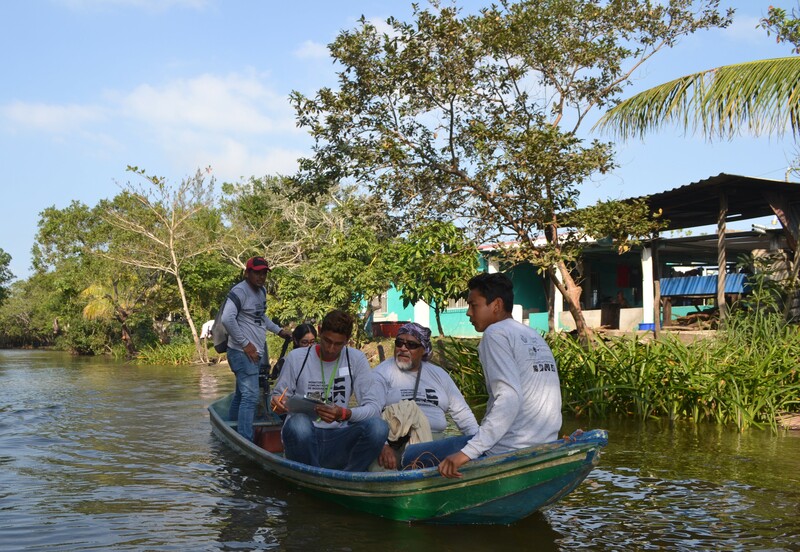 In this context, Pronatura Veracruz A.C. strengthens the capacities of the communities and ejidos of the mangroves of the Lagoon System of Alvarado so that they can be the guardians of their natural capital and generate information that supports decisions about local management. 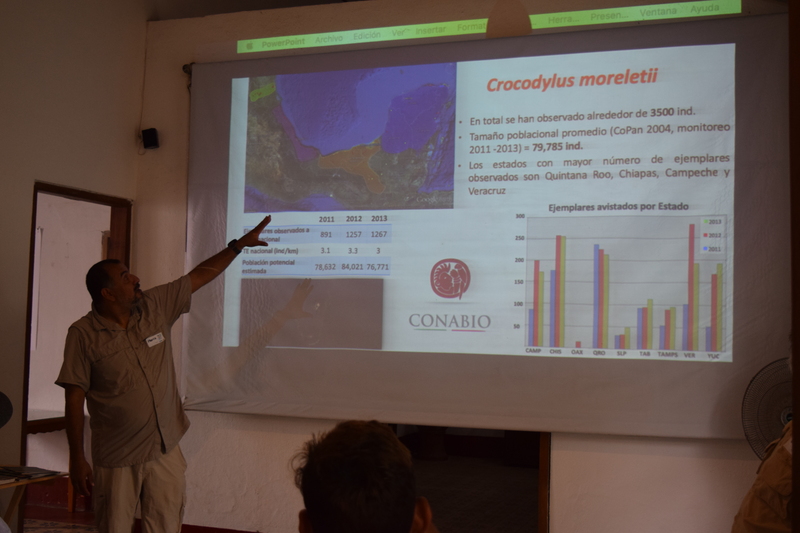 As part of the project “Restoring the Landscape of Mangrove Forests: An Opportunity for Social Development in the RAMSAR Alvarado Lagoon System Site,” from February 19 to 21, 2019, the workshop “Introduction to Community Biodiversity Monitoring” was held in Tlacotalpan, Veracruz. The workshop aimed to discuss the role of community participation and the importance of monitoring – through indicators and/or of key species – in assessing the impacts of mangrove forest harvesting and restoration activities (timber, coal, honey and others). Ten community leaders participated from Alvarado, Acula and Tlacotalpan, the municipalities with the greatest influence on the project; they are ejido members with UMA (Management Units for the Conservation of Wildlife) permits, which allow for the legal harvesting of mangrove wood, and actively participate in mangrove restoration and hydrological rehabilitation. During the workshop, emphasis was placed on monitoring key species (those whose role is fundamental to the ecosystem). For this reason, theoretical and practical training was given on monitoring and management techniques for crocodiles (Crocodylus moreletii). The state of health of crocodile populations reflects the success of ecological restoration actions, including the recovery of water flow, the food chain and nutrients; when managed sustainably, crocodiles also provide a source of income for local communities. Photo: Pronatura region Veracruz. Practice with key species Crocodylus moreletii in mangroves of the Alvarado Lagoon System. As a result of the workshop, the “Community Biodiversity Monitors of the Alvarado Lagoon System” brigade was formed, creating an alliance of ejidos and communities to monitor indicators and/or key species in mangroves under restoration and conservation, and where the harvesting of legal timber takes place. Photo: Pronatura region Veracruz. Expert presentation on monitoring of the UJAT. 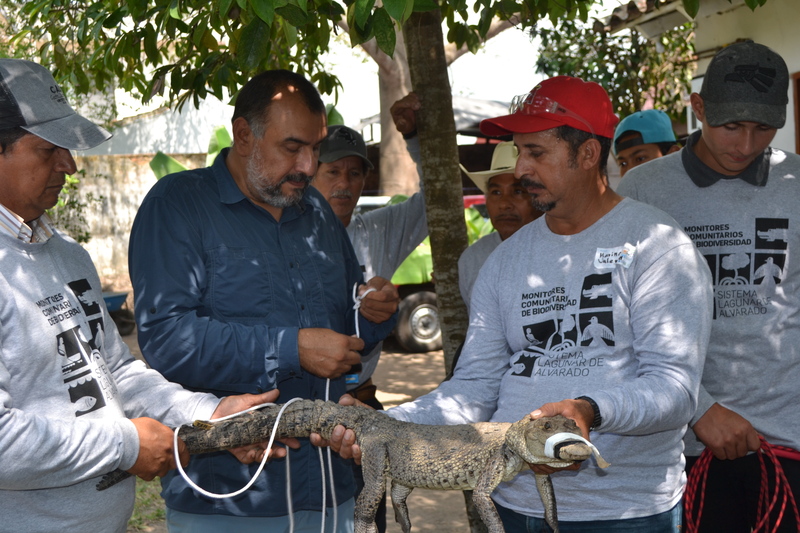 This project is implemented by Pronatura Veracruz within the framework of the International Climate Initiative (IKI) of Germany’s Federal Ministry for the Environment, Nature Conservation and Nuclear Safety (BMU), in partnership with the Veracruz Environmental Fund and specialists in the monitoring of crocodiles from the Juárez Autonomous University of Tabasco (UJAT). This article belongs to Pronatura Veracruz A.C. Its content is the sole responsibility of the autor.